Gas Monkey Garage, from Dallas and the stars of Fast N’ Loud on the Discovery Channel, will be auctioning off their last COPO Camaro at the Barrett-Jackson car auction in Scottsdale on Saturday January 17th during the first of two “prime time” schedules for that day. The COPO Camaro was developed by Chevrolet to be a drag strip car and certified to NHRA certification levels. Each year Chevy sells 69 units, which are NOT street legal, by way of a lottery system. 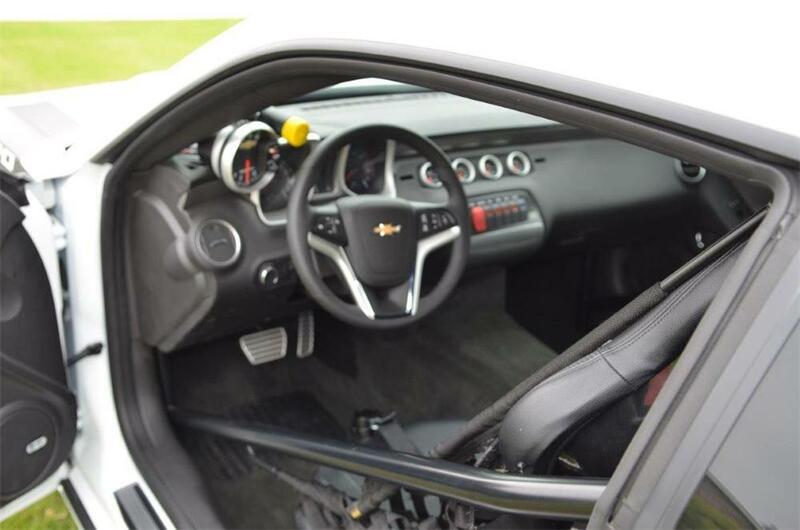 This past year Richard Rawlings and his partner bought out an additional 20 chassis’s from Chevrolet which are considered CRC- Certified Race Chassis. So these come with the power train components. Gas Monkey Garage then offered them for sale with either the buyer adding on the optional go fast components or leave with just the chassis. At the 2013 Reno Barrett-Jackson auction they sold a similar COPO Camaro, but one that Rawlings and his financial backer actually had a hand in building and was featured on Fast N’ Loud. Of the twenty originally available only this one and a rolling chassis are left. The one being auctioned lists as being the only one with the Gas Monkey Garage decals. 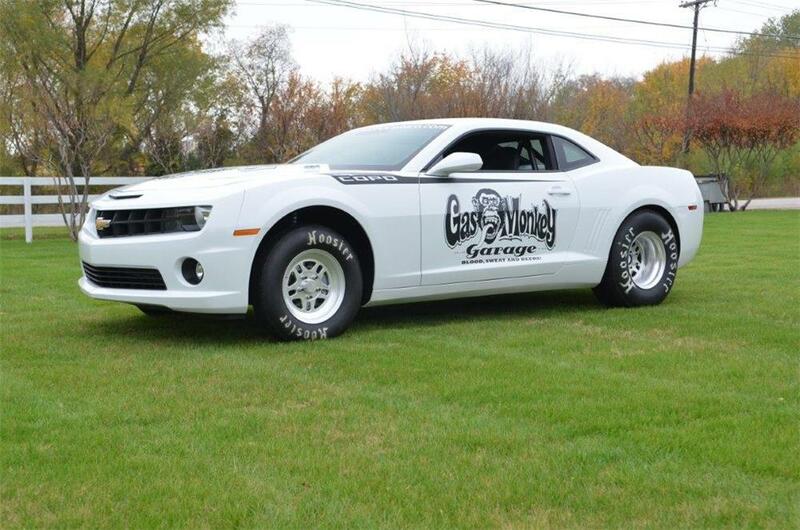 This one is offered at auction with a three speed automatic transmission instead of the more traditional two speeds. And they stuffed a 454 LSX engine under the hood. At the auction Barrett-Jackson has set up two time slots for their Salon Collection cars on Saturday. The first will be from 1-3 (local time MST) and shown on the Fox Channel. Probably the first time a car auction has been shown on nationwide television by a big four broadcaster. They then have a second two hour block on Saturday shown on the National geographic Channel from 5-7 MST. This COPO Camaro will be the third one sold. The one in Reno sold for $137,500. What do you think this one sells for? Their web site shows the remaining rolling chassis originally was selling for $85,000 and now offered for $75,000.